Despite the growing popularity of digital teaching portfolios, research has remained focused on outcomes associated with making digital teaching portfolios instead of examining the ways in which they can effectively assess what teachers know, especially when it comes to educational technology. One barrier to using portfolios as a means of assessing teachers’ knowledge of technology is the lack of a guiding framework for characterizing teachers’ technology knowledge. In this paper, we propose that the Technological Pedagogical Content Knowledge (TPACK) framework is well-suited to study the knowledge (including technological knowledge) teachers represent in their digital teaching portfolios. We exemplify how the TPACK framework can guide a content analysis of digital teaching portfolios by analyzing 589 online portfolios created by teachers as the culminating assessment in their master's studies. We conclude that the TPACK framework is helpful for analyzing the types of technological knowledge teachers may represent in portfolios but also acknowledge several important challenges. Koehler, M., Greenhalgh, S., Rosenberg, J. & Keenan, S. (2017). What the Tech is Going on with Teachers’ Digital Teaching Portfolios? Using the TPACK Framework to Analyze Teachers’ Technological Understanding. 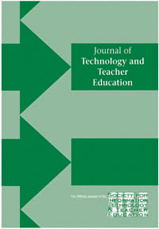 Journal of Technology and Teacher Education, 25 (1), 31-59. Waynesville, NC USA: Society for Information Technology & Teacher Education. Retrieved April 19, 2019 from https://www.learntechlib.org/primary/p/173346/. McKinney, M. (1998). Preservice teachers’ electronic portfolios: Integrating technology, self-assessment, and reflection. Teacher Education Quarterly, 25(1), 85-103.